The utility uses a modified widely applied fastest method repairing of all (non)standart kexts with little improvements. To all kexts the identical permissions (a little more liberal, than it is necessary) are granted. Though it not 100% satisfies the system's "Disk Utility", however on working capacity of system, to the worst, does not affect. 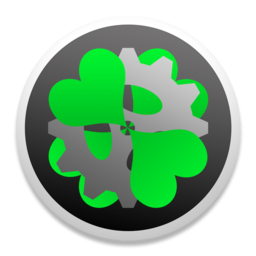 for Lion - kernelcache, for older MAC OS - Extensions.mkext. For proper boot better use the XPC Uefi booter or wait new Clover Uefi booter. AND TAKE OFF THE PC SUPPORT BOX. Script to patch AppleIntelCPUPowerManagement for Sandy Bridge systems. It searches for write operations to MSR 0xE2 in otool output, so it should work for any version. Tested with all versions from 10.6.8 to 10.8 DP2. Written by el coniglio, based on SpeedStepper. Thanks to flAked and dmazar. DSDT Editor Need To JAVA Because DSDT EDITOR Writed With JAVA. Please For Run; Install ORACLE JAVA Or Apple JAVA. Met dit bestand kan je je hardware zien in Mac OS X. Je ziet er je chipset, audio, videokaart e.d. Thanks to yehia2amer, now it´s fully functional, he discovered the bug was on iasl compiler form intel, last version is already fine. All woes goes to him. ? This first version is a reduced version from DSDTSE, we have plans to add all the features from Osx version. After a successfull compile, a window will open to show you the compiled .aml and the uncompiled .dsl, if the compile is unsuccessfull, no dsdt.aml will be created. You can post here any other bug you may find on the XP version. Install USB Flash Drive Builder for Leopard and Snow Leopard. Dit is de Kext Helper B7 zag dat ie hier niet op stond en leek me handig.